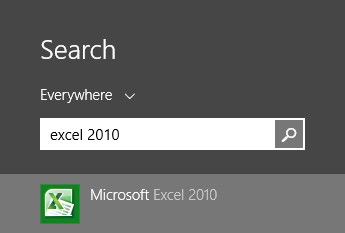 Excel 2010 loads spreadsheets an the same window, by default. 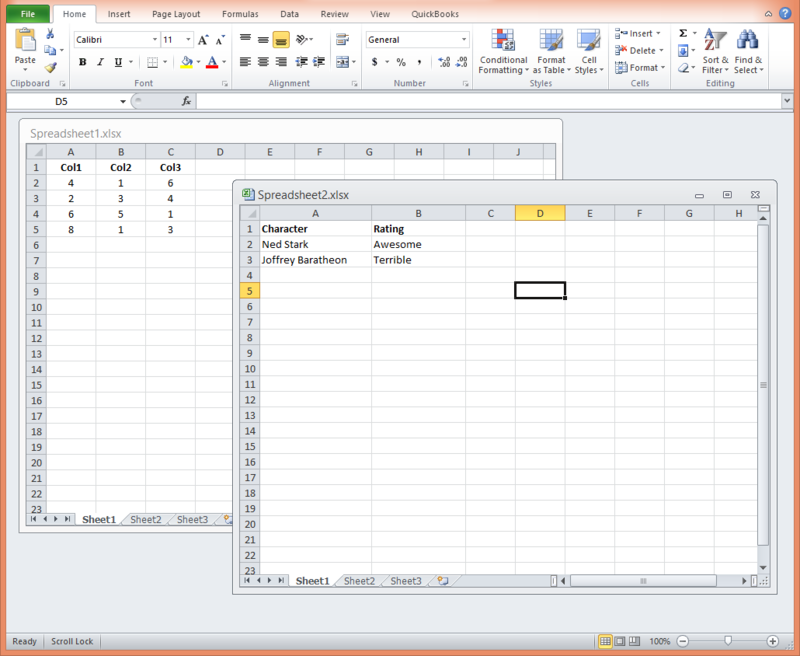 Here’s a quick trick for all the Excel 2010 users out there that like to work with multiple monitors, or simply desire to have more flexibility when working with spreadsheets. By default, when you open a spreadsheet (.xls or .xlsx extensions, usually), Excel will try to reuse any existing Excel window you have open. This is probably because Microsoft felt it was more resource-friendly, in the end, but in doing so, the user loses the flexibility of working with windows. Instead, they have to work with pseudo-windows within a sandbox. 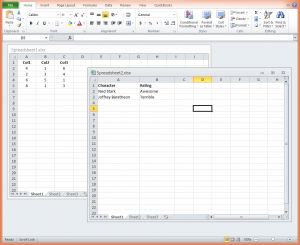 What if you wanted to have two copies of Excel: one with one spreadsheet, and the second with another? If you have Excel open, and you try to open it again, it will only show you the window you already opened. To do this, we must make use of a useful Windows key known as SHIFT. In Windows 7 and 8, holding SHIFT while clicking the Excel icon in the task bar will make a new copy of Excel appear. Once again, all one needs to do is hold SHIFT while left-clicking the search result, or while pressing ENTER.